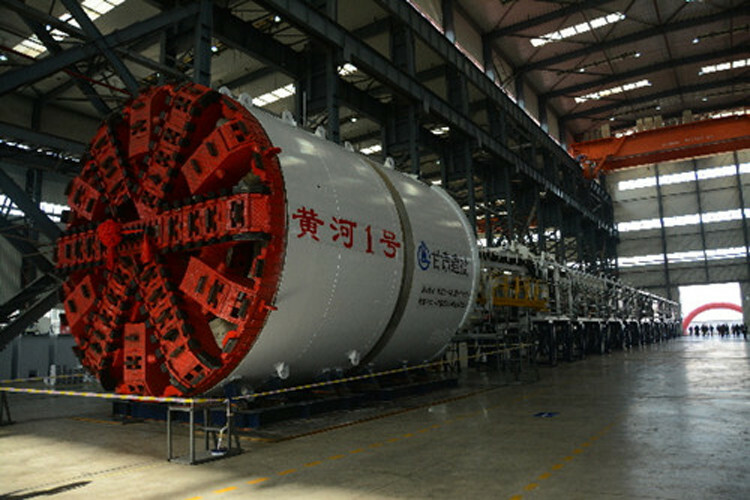 A tunnel boring machine (TBM) for the 142-kilometer Jakarta-Bandung high-speed railway project has arrived in Jakarta after being transported on the Phoenix Pine ship from the Zhanghuabang Wharf in Shanghai, China. “The TBM is able to construct a tunnel for double-track railways for high-speed trains,” the president director of railway developer PT Kereta Cepat Indonesia China (KCIC), Chandra Dwiputra, said at an event welcoming the machine at Tanjung Priok Port in North Jakarta on Thursday. The machine, which weighs 3,649 tons with a diameter of 13.19 meters and a length of 105 meters, will first be operated in Halim, East Jakarta, to assist in the development of a 1,885-meter tunnel called "Tunnel #1", one of 22 points that will use the tunnel boring machine. The machine would be operated using a shield tunneling method to ensure that construction does not affect crowded areas above ground, like the Cikampek toll road and the Jatiwaringin overpass, Chandra said. He said the shield tunneling method was much safer than other drilling methods.